Former Coalition Chairman David Bitan blasts Bennett in wide ranging interview for leaving the Jewish Home in shambles. Former coalition chairman and Likud lawmaker David Bitan blasted New Right leader Naftali Bennett for the way he "betrayed" the Jewish Home last month. In December, Bennett and Justice Minister Ayelet Shaked announced plans to break away from the Jewish Home and form a new party, called the New Right (Hayamin Hahadash). They have since been polling at an average of eight Knesset seats. Speaking with Yisrael Hayom, Bitan said that Bennett had shattered every political norm by exploiting the Jewish Home and then leaving the party in shambles. "They opened the house for him, made him a leader, and he left them at the most important moment before the elections," Bitan said. "There are values in politics as well, such as loyalty to the way, loyalty to the party, and not taking advantage of people and leaving them at the last minute." "They opened the door for you-don't betray them. There are values in politics," said Bitan. The lawmaker also alleged that Bennett knew that he would be abandoning the Jewish Home yet threatened to bolt the governing coalition anyways if Prime Minister Netanyahu did not appoint him defense minister. "When Bennett demanded [to be made] defense minister, he already knew that he would not be in the Jewish Home," said Bitan. "He wanted to run with the New Right as a defense minister. To take advantage of his party to the end, and to hurt the Likud." 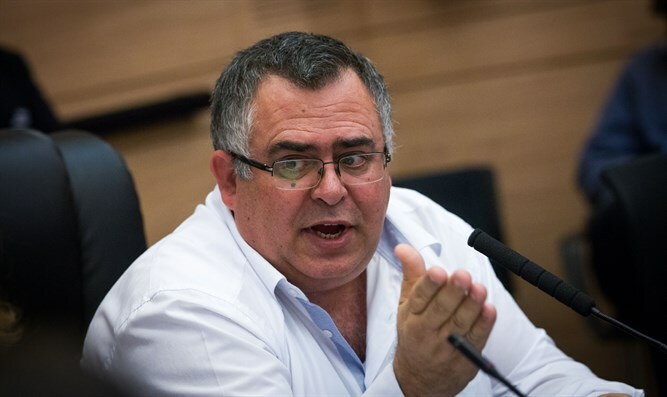 "What Bennett and Shaked did proves that they are unreliable," continued Bitan. "Unfortunately, I very much admire Ayelet Shaked but she proved that she is just following after Bennett. This isn't leadership." The act Bennett and Shaked Esav proves is unreliable. Unfortunately, I very much appreciate Ayelet Shaked, but she proved that she is just following Bennett. It's not leadership. "